Western governments, the State of Israel and the United Nations casually deny the existence of a Neo-Nazi threat to the Jewish Community in Ukraine. The issue is not covered by the mainstream media. The Neo-Nazi parties are identified as being “ultra-conservative” or “radical”. They are not, we are told, anti-semitic. 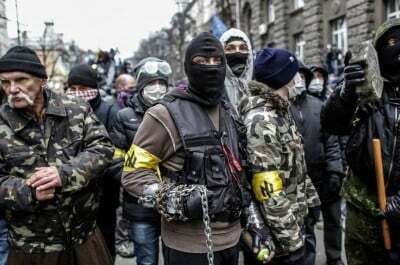 The following initiative by the Jewish community in the US recognizes that Jews in Ukraine are being threatened, without however identifying the role of the interim coalition government, which is integrated by the two main Neo-Nazi parties: Svoboda and Right Sector. After such an amazing rebirth of our people and culture after near total destruction, will we allow anti-semites to force our day schools, yeshiva’s and other institutions to close or operate in fear?